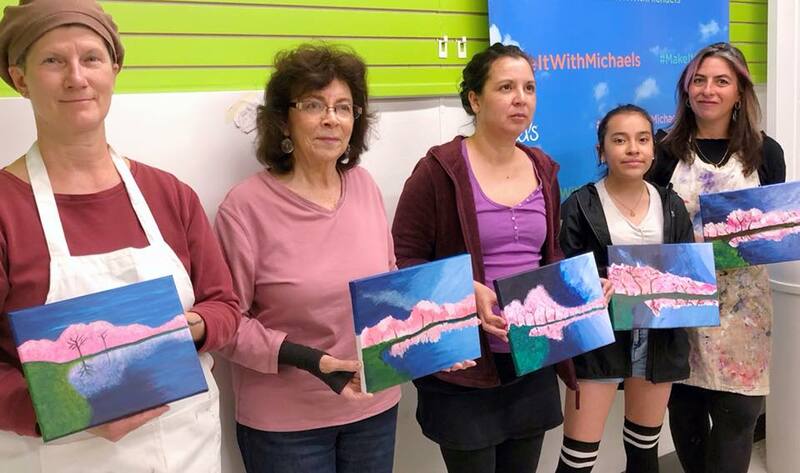 Sunday April 7, 1-4 PM, Acrylics, “Cherry Tree Sunset"
FYI, This Month (April 2019), I'll be having my very last classes at Michael’s. The partnership between Grumbacher and Michael’s has ended. The new arrangement Michael’s has created is proving to not be feasible for me. So, today I’ll be drafting up a new spring & summer art class schedule. From now on I will be offering Grumbacher classes at my home studio in Eldorado. I’ll also be offering Grumbacher art classes at the Fuller Lodge Art Center in Los Alamos on Saturday’s beginning this fall. So that’s my Grumbacher news. If you would like to take a final class with me at Michael’s, I’m having 2 more classes this April, 7, Sunday and next Sunday April 14. 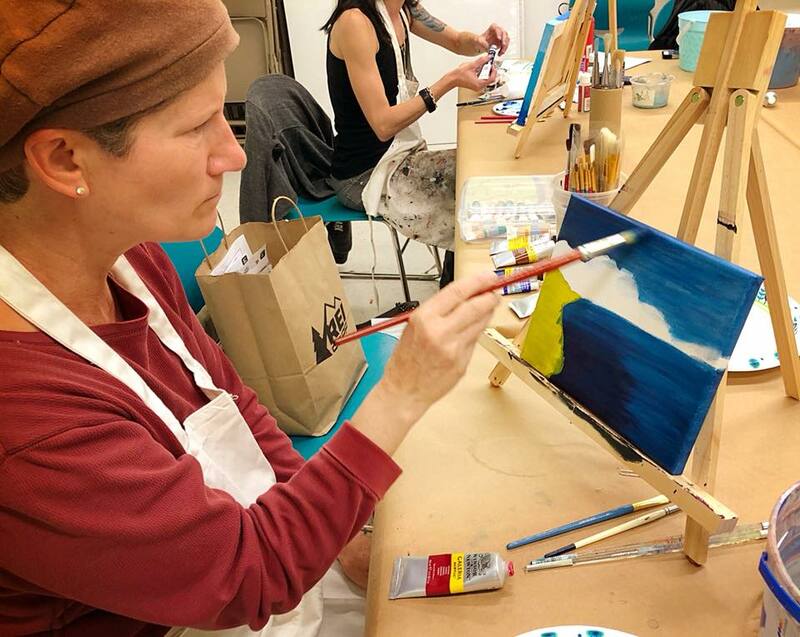 Sunday May 19 1-4 PM, Acrylic Painting, "Butterfly on Flowers"
Wednesday May 22 1-4 PM, Watercolors, "Sunset on Water"
Wednesday May 22 6-9 PM, Acrylic Painting, "Apples and Bananas"
Sunday May 26 1-4 PM, Acrylic Painting, "Lighthouse Shore"
Wednesday May 29 1-4 PM, Acrylic Painting, "Palm Trees and Beach"
Wednesday May 29 6-9 PM, Watercolors, "Strawberries"
Classes are 3+ hours, $30 each plus Tax..
A basic Grumbacher starter kit should suffice for these classes. I highly recommend buying through Michael's online.. there are huge coupons, constantly -and they seem to have the best "starter kits" for both watercolors and acrylics. If you purchase the starter kit from Michael's online, you should have everything you will need, including paper and brushes for watercolors. Also, Grumbacher paints are available locally at Michael's, Hobby Lobby and Artisans. ​I'm also including a direct link for you to purchase any "Grumbacher" art supplies you may need at a 30% discount on the Grumbacher website. 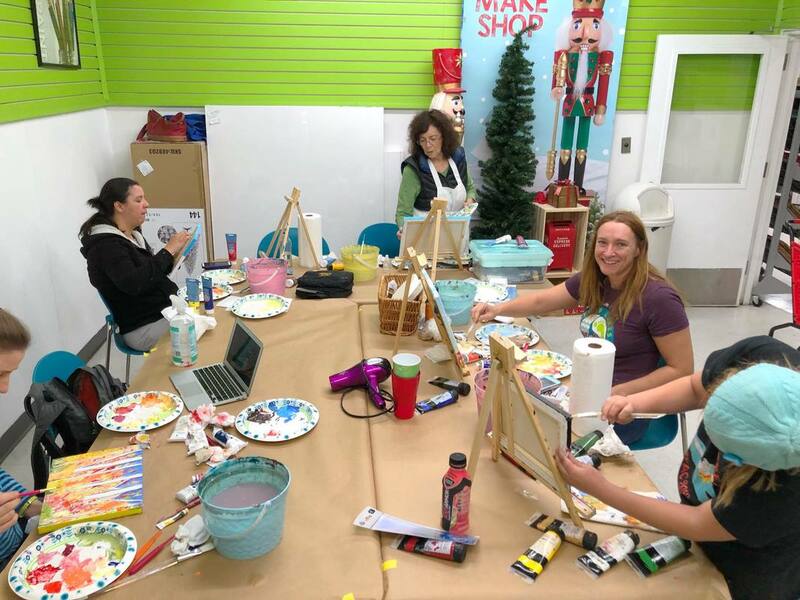 If you do not buy the starter kits through Michael's keep in mind that for watercolor class you will need to bring your own watercolor brushes and paper.